C.W. McCall is the pseudonym of William Dale Fries (born November 15, 1928 in Audubon, Iowa, USA). McCall is best known for the 1975 #1 hit song "Convoy", which came at the peak of the citizens band radio fad in the United States. 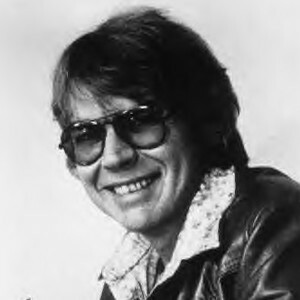 Far from a one-hit wonder, McCall continued to chart with songs such as "Wolf Creek Pass", which hit #40 on the U.S. pop top 40 in 1975, and at least two other songs hit Billboard's pop Hot 100, including "Old Home Filler-Up an' Keep on a-Truckin' Cafe", as well as the environmentally-oriented "There Won't Be No Country Music (There Won't Be No Rock 'n' Roll)". McCall is best known for the 1975 #1 hit song "Convoy", which came at the peak of the citizens band radio fad in the United States. Far from a one-hit wonder, McCall continued to chart with songs such as "Wolf Creek Pass", which hit #40 on the U.S. pop top 40 in 1975, and at least two other songs hit Billboard's pop Hot 100, including "Old Home Filler-Up an' Keep on a-Truckin' Cafe", as well as the environmentally-oriented "There Won't Be No Country Music (There Won't Be No Rock 'n' Roll)". A dozen McCall songs hit Billboard's country singles chart, including the sentimental "Roses For Mama" (1977). In 1978, the movie Convoy was released, based on the C.W. McCall song and starring Kris Kristofferson. In addition to the "original six" McCall albums released between 1975 and 1979, two rare singles exist. "Kidnap America" was a politically/socially-conscious track, while "Pine Tar Wars" referred to an event that actually happened in a New York Yankees-Kansas City Royals baseball game in 1983. In 1982, McCall was elected mayor of the town of Ouray, Colorado, ultimately serving three terms. In 1990, American Gramaphone Records issued a CD containing a number of old McCall tracks re-recorded for the digital CD age, plus a new song, "Comin' Back For More", which was inspired by Alferd Packer, an alleged cannibal from the 19th century.